Total company sales hit $814 million in the quarter, a 5 percent increase from the same time the year prior. At Free People, same-store retail sales jumped 15 percent relative to the year prior, and Anthropologie grew by a more modest 2 percent. 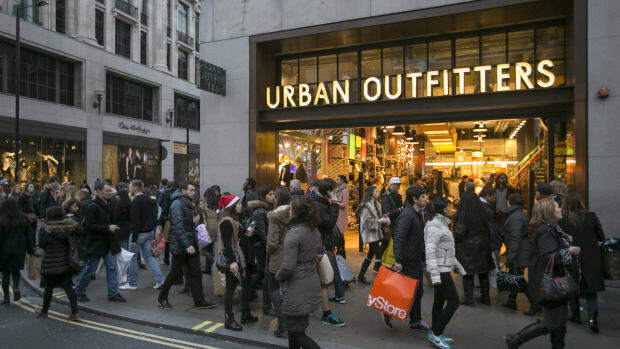 But Urban Outfitters&apos;s comparable sales dropped 7 percent, a performance that CEO Richard Hayne described as "disappointing" and which dragged the company&apos;s overall comparable sales down by 1 percent for the quarter. A particular bright spot in Urban Outfitter Inc.&apos;s business is Free People&apos;s international expansion, which Hayne said is delivering the fastest growth to the brand. Revenue from Asia increased by more than 100 percent during the quarter, driven by strong sales in Japan, Hong Kong and China. In October, Free People opened its first shop-in-shop in mainland China in partnership with the Hong Kong-based IT Group; the company has plans to open four more in mainland China and Hong Kong next year. European sales grew by over 200 percent for Free People, thanks largely to consumer interest in the UK and Germany. The upshot of Urban Outfitter&apos;s flagging business is that while poor inventory mixes drove in-store traffic and transactions down in the quarter, online traffic and average order value were actually up. (As Haynes put it: "It was a tale of two channels.") Encouragingly, sales of full-priced goods online, including apparel, were "strongly positive." While the company would do well to capitalize on the interest in its e-commerce business and apps — the various brands&apos; apps are converting at about twice the rate of mobile web sessions — execs clearly know that they need to get Urban&apos;s stores back in shape. With any luck, they&apos;ll be able to do that, and soon. The trends, it seems, are getting stale.